WASHINGTON - Less than two years into a tenure marked by five major hurricanes, multiple lethal wildfires and a tense relationship with his boss, Federal Emergency Management Agency Administrator William “Brock” Long resigned Wednesday “to go home to my family,” as he put it in an official statement released by the agency. Peter Gaynor, who has served as Long’s deputy, will assume acting administrator duties. "This is one of the toughest decisions I have ever had to make. Thank you for an incredible journey and for the support you have shown me," Long wrote in a letter to FEMA staff. Long clashed with Homeland Security Secretary Kirstjen Nielsen last September, when Nielsen appeared intent on forcing Long out of his job in the middle of hurricane season. Just as Hurricane Florence began slamming into the Carolinas, the bitter feud intensified as an internal investigation became public, conducted by the inspector general from Nielsen's department who were looking into Long's use of government vehicles to travel between Washington and his home in North Carolina. Long at one point amid the storm told others at FEMA he was on the verge of quitting. "It was FEMA personnel who convinced him not to quit," said one congressional aide briefed on the matter at the time. 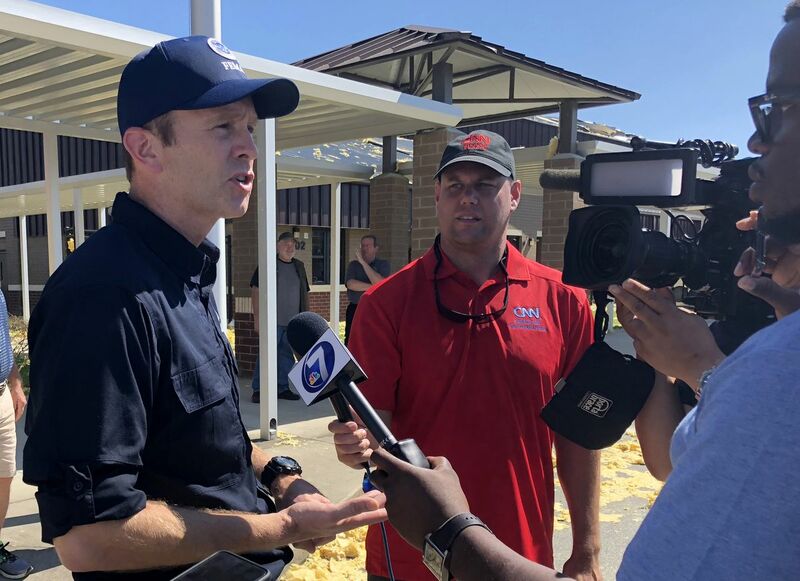 Long, who had many years of experience in emergency management, easily won Senate confirmation when nominated to the FEMA post two years ago. He was plunged into crisis almost immediately, when Hurricane Harvey slammed into Texas and dropped multiple feet of rain, flooding Houston and killing dozens of people. That was followed quickly by hurricanes Irma and Maria and controversy over the administration's response to the latter's devastation in Puerto Rico, which led to a death toll of nearly 3,000. This past year saw two more epic hurricanes, Florence and Michael, and fatal wildfires in California. Meanwhile Long became entangled in the controversy over his use of government vehicles. Long's improper use of government resources cost taxpayers $94,000 in staff salary, $55,000 in travel expenses and $2,000 in vehicle maintenance, the Department of Homeland Security's inspector general determined last year. "It honestly has nothing to do with the travel issue. He's been away from his family for a long time," said Lizzie Litzow, the FEMA press secretary. "And he's chosen this moment to make sure new administrator has enough time to prepare for upcoming hurricane season before it hits." FEMA officials have said that Long took corrective steps in recent months to resolve the travel issue, which stemmed from the long-standing practice of FEMA administrators traveling in vehicles equipped with emergency communications gear. "He took the travel issue so personally that he never got over it," said another FEMA official who was not authorized to speak to reporters. The investigation last fall blindsided Long right at the moment he was coping with Hurricane Florence in his home state of North Carolina. Long told aides he was on the verge of quitting then, but stayed on the job to lead the emergency response. Leaving FEMA in the middle of the hurricane "would have been a bad time to leave," the FEMA official said. "Now we're in a lull disaster-wise." The agency is also on a better footing with Senate-confirmed deputy administrator, Peter Gaynor, who, like Long, is an experienced emergency manager. The official said Long's reputation remained strong among FEMA staffers, many of whom believe he was forced out by Secretary Nielsen's office. "There's no question they wanted him out," the official said, "but whether he was forced out or decided to quit is difficult to pinpoint."